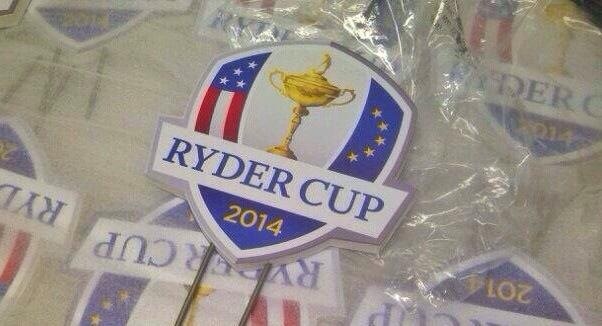 The Ryder Cup is finally upon us after months of waiting. It’s expected to be another cracker however it surely can’t live up to what happened in Medinah back in 2012. Twelve of the best American’s and European’s will face each other from Friday to Sunday to decide the winner of the 2014 Ryder Cup. Europe have domintaed this event over the last twenty years with Europe beating the USA on seven of the last nine occasions. This years Ryder Cup venue is Gleneagles Golf Course in Scotland which was designed by 18 time major winner Jack Nicklaus back in 1993. Gleneagles has hosted the Johnnie Walker Championship from 1999 to present an event which was won by Thomas Bjorn in 2011 who features on the European Team this year. It’s a par 72 that plays 7243 yards and over the last few years driving distance has proved to be a slight advantage and with some rain forecast on Friday this course may suit the longer hitters. Paul McGinley – This years European Ryder Cup captain is Paul McGinley of the Republic of Ireland. Paul has been named as a vice captain in the previous two Ryder Cup’s under the captaincy of Colin Montgomerie in 2010 and Jose Maria Olazabal in 2012, both of which Europe won. McGinley has also featured in the Ryder Cup as a player in 2002, 2004 and 2006 and has been on the winning side on each occasion. Tom Watson – 65 year old Tom Watson is this years USA Ryder Cup captain and the American was top player back in his day. Watson has won 39 times on the PGA tour which ranks him in 11th position all time, eight of those wins were major championships including five victories at the Open Championship. Tom also has a great record in the Ryder Cup as a player, he has played in four Ryder Cups from 1977 to 1989 winning ten of the fifteen matches he played in which is a very impressive record. As you would expect Europe are this years favourites to win the Ryder Cup largely because it is being played on European soil. You can back Paul McGinley’s side to win the prestigious event at 4/6 whilst the USA are 7/4 to win the Ryder Cup on European soil for the first time since 1993 and don’t forget the tie is also a possibility which can be backed at 10/1. There are various other markets available including the likes of top points scorer, top American and top European. USA to win the Ryder Cup – Despite the USA’s recent poor record in this event I think they’ll win this years Ryder Cup. The USA team come into this week in some great form, Rickie Fowler, Jim Furyk, Jordan Spieth and Jimmy Walker all appear to be hitting some form. The Europeans on the other hand have struggled as of late. Westwood finished 60th in the Welsh Open just last week whilst Scotsman Stephen Gallacher failed to make the cut. Thomas Bjorn didn’t do much better either finishing in 59th position. I also believe that USA Captain Tom Watson will have a big impact, he’s a top player and has won on British soil on multiple occasions. Top USA Point Scorer (Jim Furyk) – Sky Bet are offering money back as a free bet up to £150 on this market if the USA Win and the odds suggest that the USA have a 35% chance of winning the Ryder Cup which means there is a decent chance that we will get our money back if this bet does not win. Jim comes into this week in top form and full of confidence. Admittedly he doesn’t have a great match play record but i’m willing to ignore that due to his consistent form this year. Jim’s recent form reads 12, 4, 2, 15, 5, 8, 23, 4, 2. These results show how well he is playing which is key because he’s going to have to play well over the three days if he is to win this market.